The processing is done in selected mills within 24 hours after harvest. 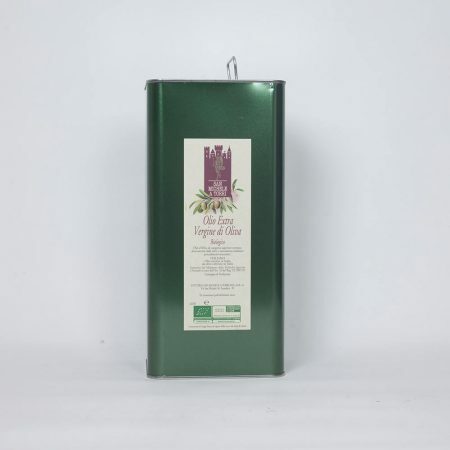 The oil is obtained immediately and filtered to preserve its excellent organoleptic and nutritional quality. 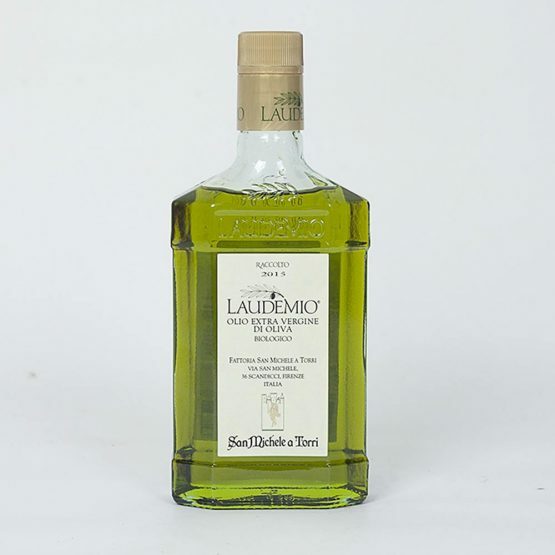 It has a very low acidity, expressed as oleic acid 0.15%, a great content of polyphenols (300mg / lt.) and a consistent allocation of tocopherols (280 mg / lt.) The Laudemio Extra Virgin Olive Oil has a herbaceous fruity flavor that recalls olives. The taste is appreciated immediately with a strong fruity flavor and a hint of spice at the finish. 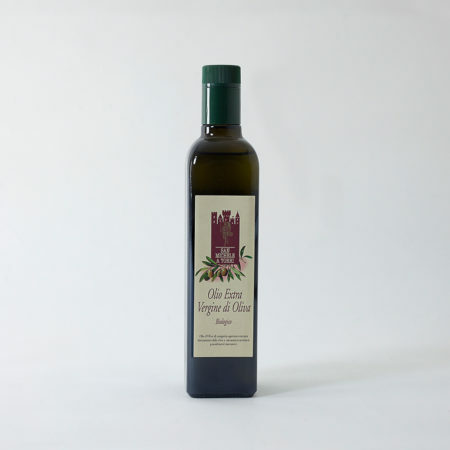 The extra virgin olive oil from Fattoria San Michele a Torri is made mostly with Frantoio and Moraiolo olives with a small blend of also Leccino, Pendolino and Cerretana olives. They are harvested at the right stage of ripeness, which generally coincides with the end of October beginning of November. The processing is done at the farm olive mill within 24 hours of collection. 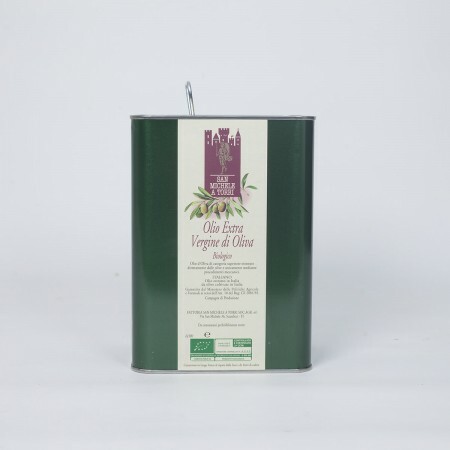 The oil obtained is immediately filtered to preserve its excellent organoleptic and nutritional quality. It has a very low acidity, expressed as oleic acid .15%, polyphenols (300 mg / lt) and allocation of tocopherols (280 mg /lt). Our Laudemio Extra Virgin Olive Oil has a herbaceous, fruity bouquet scent and a taste that is appreciated immediately with fruity spicy notes .